Please contact the sports center in Nepal to check which activities are being provided and their timetables, given that Nepal Pools might possibly have distinctive rules and fares than other places. Swimia.com desires your feedback on Aquagym in Nepal to ensure all of the facts about swimming in Nepal is valid. Please have a look at the pools swimmers like you have got reported near Nepal. Please, report any Nepal Swimming Pool not listed here. Swimming is often a sport for all ages. It helps young people to tone their muscles and grow wholesome and strong. For the elderly, there's no better way to exercise than finding a Nepal Swimming Pool to escape from daily routine. Regular users from the following Nepal Pools told us essentially the most very important factor about swimming is to control your breathing. From time to time this is not possible mainly because we raise the neck to breathe along with the body is not aligned. To avoid this, our head should really be aligned with our spine all the time. One of the benefits of outdoor swimming in Nepal may be the possibility to sunbathe throughout the summer time season. Taking it with extra care, sunbathing is healthful since introduces Vitamin D into the body, so the most beneficial choice seems to be switching between indoor and outdoor pools depending on the season. 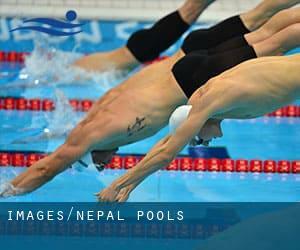 There are various reasons why you might want to choose a heated swimming pool in Nepal. One of the most essential one relies on the importance of keeping the body temperature stable. If the water is as well cold, your body will try to warm it up and you will lose strength to swim properly. It's difficult to visit Nepal with out dropping by Pokhara (with 200.000 residents). At present Swimia is showing you all the Swimming Pool in Pokhara and the closest pools located in its vicinity. Swimming is a terrific idea to keep your body active during your visit to Patan (Nepal), or even for anybody who is a local. Swimia helps you to find your closest Pool in Patan. Holding an estimated population of 182.324, Birātnagar is one of the most important cities in Nepal. Check all of the Swimming Pool in Birātnagar and its surrounding area. Let us let you know a secret to switch off when you might be in Kathmandu: just select a Swimming Pool in Kathmandu and plunge into the water! There's no even more effective technique. Tahachal , Kathmandu . This sports center offers ~20 yards, Outdoors. For this Pool, only phone number is number here. United World Trade Center, 4th & 5th Floor, West-Wing , Tripureshwor , Kathmandu . Swimmers like you reported 50 feet x 23 feet, Outdoors. Phone number and email address are number for this Swimming Pool.